i have install 1 gb game nfs you dont believe it the game runs perfectly after 4 hours of playing the battery remains 80 % wow...so nice of you mmx..if you buy a phone for music ,game,videos,office under 11 k i suggest you to buy this.. Which Earph. Should I Buy For Canvas 2.2..? Can anybody tell me, how to use its GPS? Can I use it's gps without internet as well like lumia 520's? If i need to download an app? 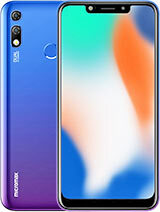 As for phone review I will give it 8 of 10, great performence. Great phone. I have used htc desire 501. It heats up on playing games. And cost is very high also. Then i used samsung galaxy core . it has adreno 2 03 graphics processor unit. So it cannot place play asphalt 8. 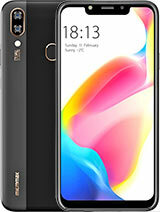 Also the cost is around 13 thousand five hundred.Now this phone got all the features of htc desire 5 01 and galaxy core also cost is eleven thousand. Battery backup is Ok. It runs the whole day with a single charge if you dont play games. Better play games with charger attached. One other cons is that the camera quality is not up to the mark. But ok with this price range. Touch sensivity is superb . guys go and get this phn. I wonder why this device is not so popular apart from the great specs. I want to know that what is the battry backup of this handset because i hate to charge handset twice in a day.. now these days it is important that battery last one day minimum, so guys tell me abt battery backup of this handset. And also want to know that MMX 114 is batter than S duos 2 or not? AnonD-232320, 02 Apr 2014friends i want to buy a android phone under 11k what to buy. 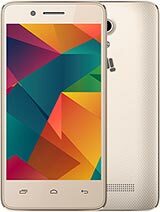 This will be my first android so ... morei buy this phone on 1-4-14 thats a great phone all games run perfectly if anyone buy a smartphone under 11 k i suggest this phone..
Is it supports temple run oz ? AnonD-228329, 26 Mar 2014Hey guys this phone is awesome and best priced so don't hesitate to buy it. This phone can p... moreYes, i want to ask you that can i install all appps and games in sd card??? Got the phone yesterday after lot of comparison. 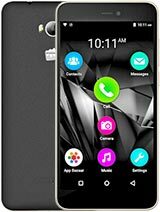 As thought a very good phone at a comparatively low cost. 3. Nice performance asphalt 8 is running without any lag. 5. Good battery back up. 1. Camera is not great but ok. The led notification is on the edge of earpiece grill. Something new maybe. Overally satisfied with the phone (10 out of 10). 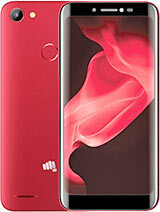 Superb phone from micromax. Recommended to everybody. By the way i was looking for black model and was unable to find. everywhere i have been told that it is out of stock. Buy it as soon as u can.